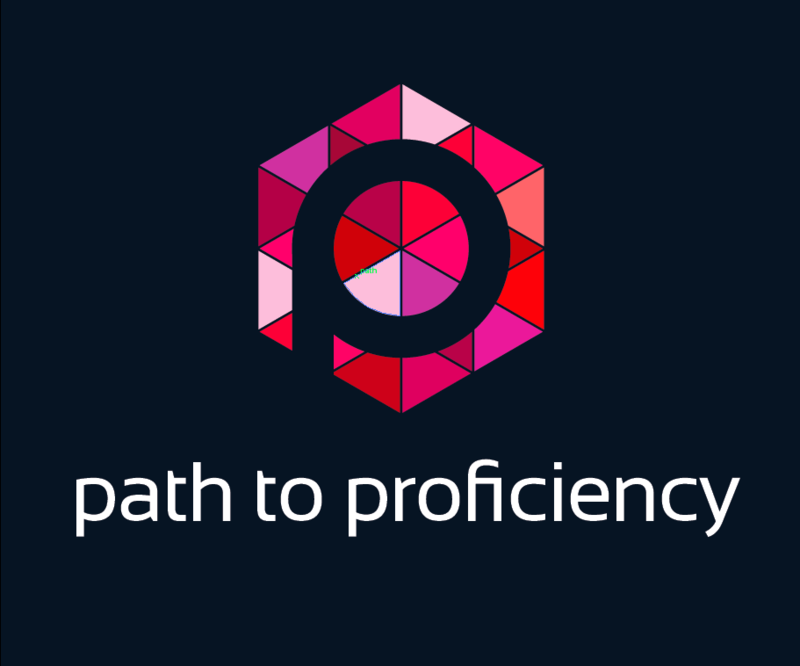 Posting An “Easy to See” Path To Refer To – Nothing helps you talk about proficiency more than having it visible in the room. I mean really visible – you can reach out and touch visible. Many like to put their path around the room above whiteboards and bulletin boards. However, I chose to put it down low, on one bulletin board, specifically because this is new to me (and my students). I notice that the descriptors catch my eye when I am talking or giving feedback meaning that I refer to them more often. It allows me to take that opportunity to walk over and point to the levels as I refer to them and really point the kids to what I am talking about. It makes it easy for me to incorporate the language of proficiency into my feedback. Being on a bulletin board, at the side of the room, keeps me, and my students, proficiency aware. Adding The Path To My Syllabus/Site – I added a Path handout to my students’ syllabus in easy to follow language. I used the classic ‘road’ template from easely.ly but any program should let you put one together. Many teachers have also used the ‘taco chat’ or ‘sushi talk’ sheets shared by colleagues on #langchat. I referred to the path on the first day of class, the various levels too and explained to them why I was now using levels. There were no ‘in-class’ time dedicated to proficiency exploration at this point but I did ask students to reflect upon the difference between Novice/Intermediate – as they saw it – as part of their first day syllabus reflection. One response was great “A novice is a robot but an intermediate is one with evolving AI capability!” I’ve also updated my class site to include the ‘what’ and ‘why’ for parents and other educators/administrators interested in what I am doing. Finding/Seeking Out Support When I Need It – I would be nowhere on this journey without a colleague (or two or an entire PLN!) there for support. This proficiency model is new in my school and it is great to have my school colleague Connie is on this new journey with me. Having someone in my right there in my department to consult with, get feedback from (and confess to) is invaluable. I can’t say enough as well about my ‘virtual’ PLN especially colleagues like Natalia DeLaat and Sara-Elizabeth Cottrell who answered key questions at critical times. Knowing that I am not alone on this path, and that I can call upon those farther down the road than me, is key to successfully implementing this new focus in my room. The path may be new but I feel that I have set out on my journey with resources to keep me firmly on route..and fantastic people to travel this road with. Onward.